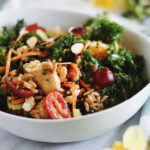 This Kale and Chicken Wild Rice Salad is a delicious summer salad; refreshing and filled with grapes, goat cheese, fresh vegetables, and almonds. 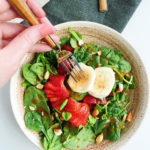 I’m a huge fan of grain salads, which I’m sure you could tell from my blog. I love lentil and barley salads with pomegranate and feta. And harvest kale salads with nutty farro. And, of course, this Kale and Chicken Wild Rice Salad. Adding grains not only makes a salad more delicious and filling, but adds even more heart-healthy fiber. Wild rice, for example, has a ton of fiber in addition to protein. Wild rice contains twice as much protein as brown rice. It is also rich in antioxidants, immune-boosting vitamin C, manganese, and essential B vitamins. This salad is loaded with goodies. It could be your lunch, but it is certainly satisfying enough to be a dinner. 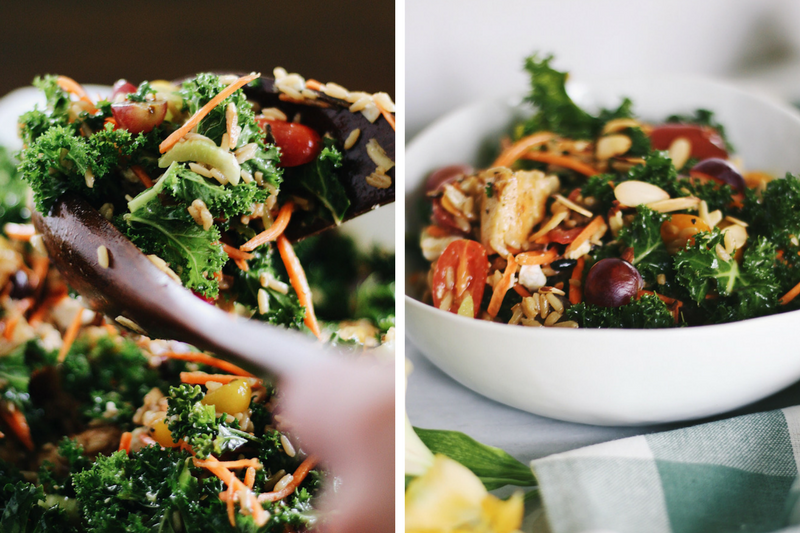 The base of this Kale and Chicken Wild Rice Salad is the greens. Properly massaged greens, to be specific. Giving the kale a massage, with a bit of olive oil and salt, tenderizes the green and makes it much less bitter. What technically happens during this therapeutic massage is the kale’s resilient cellulose structure breaks down, which un-technically translates into a next-level kale salad. I strongly suggest always massaging your kale when it comes to salads. It makes all the difference in the world. 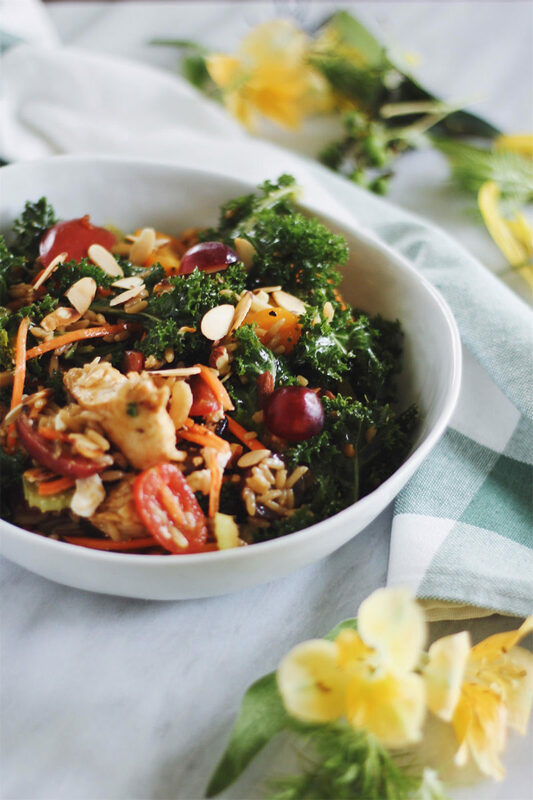 To make this Kale and Chicken Wild Rice Salad even more delicious, there’s fruity grapes, seasonal heirloom tomatoes, toasted almonds, and savory crumbled goat cheese. 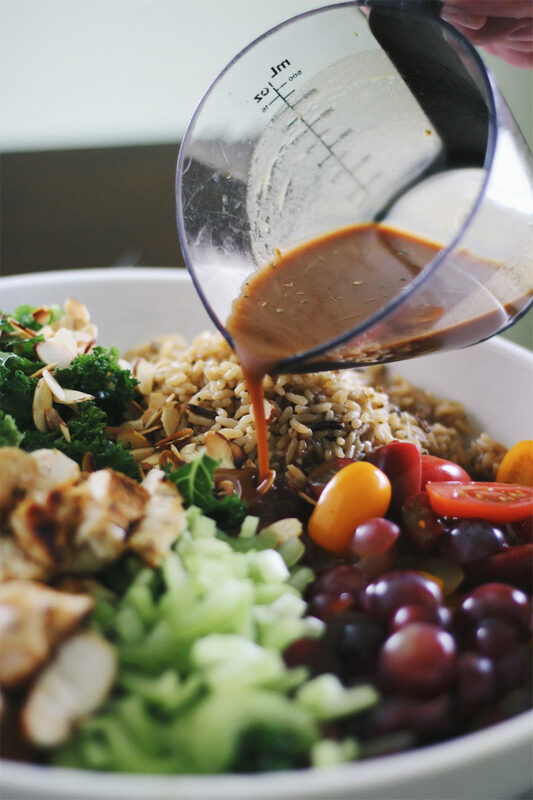 The dressing is incredibly easy—just balsamic vinegar, olive oil, Dijon mustard, thyme, sea salt, pepper, and a bit of honey. Celery, shredded carrots, and the nutty almonds all add a welcome crunch. Leftover wild rice (and even leftover chicken) is a great way to save some time and repurpose it into a whole new meal. If you don’t have any leftovers and still want a super quick summer meal, grab a microwavable pouch of high-quality wild rice blend and a small organic cooked rotisserie chicken to shred. 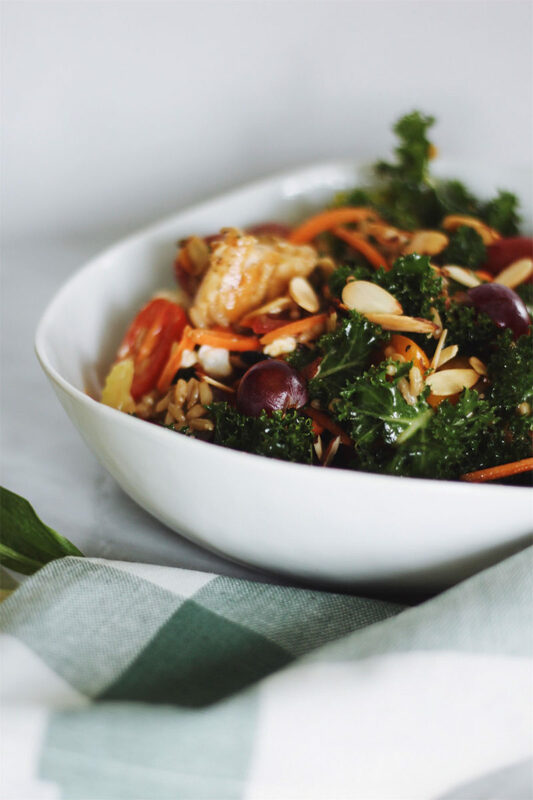 I hope that you enjoy this Kale and Chicken Wild Rice Salad! 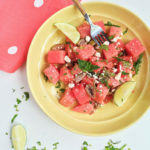 What are some of your favorite summer salads? Let me know in the comments below. Combine the sea salt, pepper, garlic powder, paprika, oregano, and thyme, and evenly sprinkle over the chicken breasts. Sear or grill the seasoned chicken breasts until cooked through and then dice the chicken into small cubes or shred. Combine all of the ingredients in a mason jar and shake vigorously until combined. Wash, dry, and de-stem kale. Chop the leaves into small pieces and toss in a bowl with a sprinkle of olive oil, sea salt, and pepper. 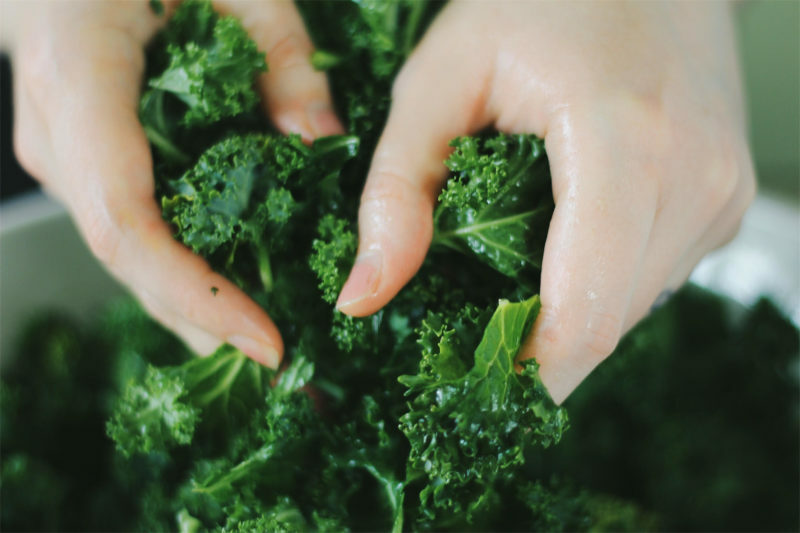 Massage the kale for a few minutes, until the leaves noticeably turn darker green in color and tenderize. 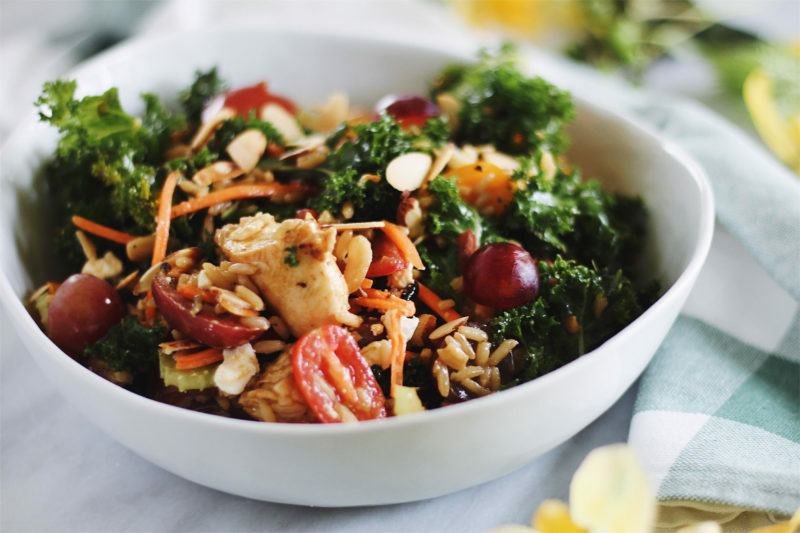 Toss the kale with the tomatoes, grapes, carrots, celery, parsley, almonds, goat cheese, and cooked wild rice. Add in the chicken and the dressing and toss until evenly combined. Enjoy! 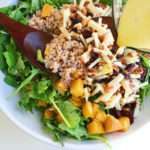 *Leftover wild rice is an excellent use for this salad. Microwavable wild rice packages are also a great way to save time! This looks like a really yummy dish! I would love to try this sometime! Holy dream salad! That looks so fresh. I would of never thought of the recipe. immaculate photos! i am enjoying all of the snap shots but most importantly the ingredients that went into this dish! This looks simply yummy! 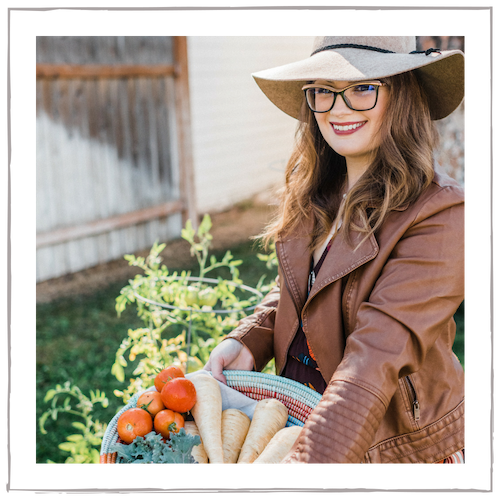 We are trying to eat better with the warmer weather coming and I can see we wont sacrifice taste with this recipe. i dont eat non veg but my bff is a huge fan of chicken. i shall definitely share this recipe with her! 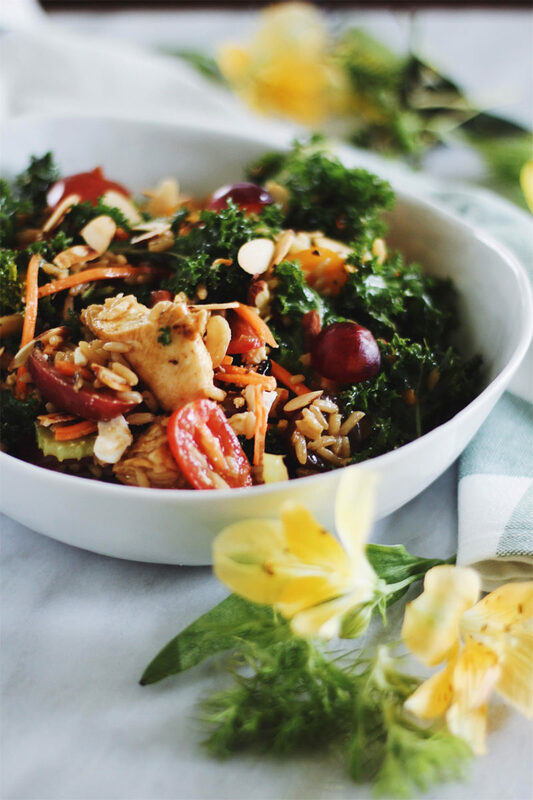 Kale and Chicken Wild Rice Salad looks so gorgeous and healthy. 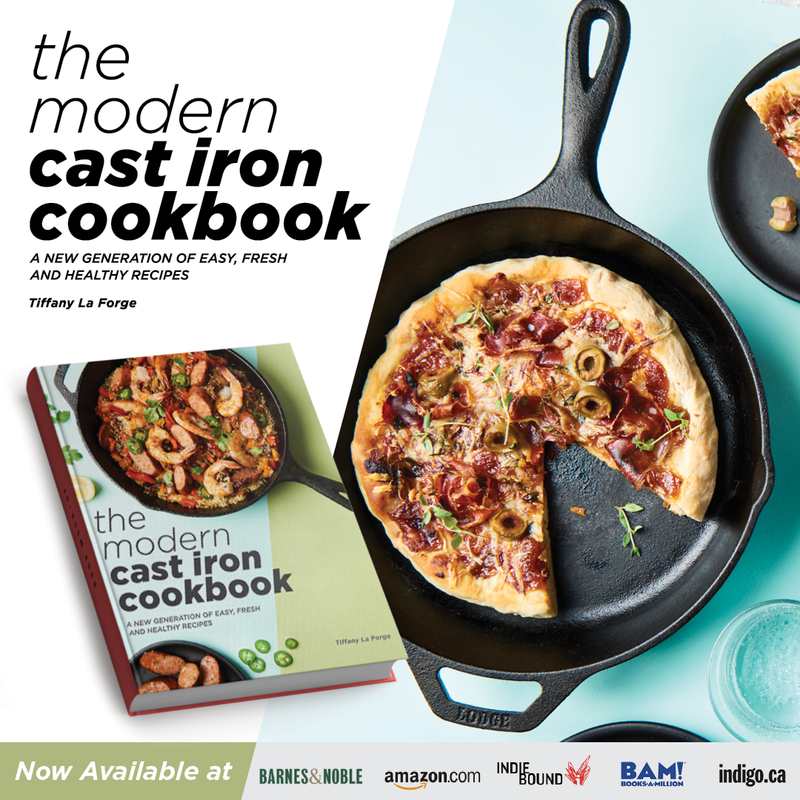 I am a fan of greens and will definitely try your recipe when the summer comes. This is like a complete meal in itself. It looks delicious and filling! 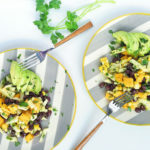 I will save the recipe and make this salad this weekend. 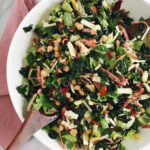 Your salad recipes are such healthy preparations, easy to make and the best part it is that they are a complete meal. Loved this salad very much. That sounds like such a tasty salad. 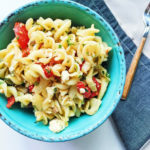 I love the complexity of the flavors, but even with all that, it’s still a salad so quick to make. Oh wow these are such amazing photos which make the food 10x more appetizing! My friends love their salads and I will highly recommend this. Minus the meat, this looks absolutely swoon-worthy! I think I’ll need to try and recreate this myself, maybe using grilled and marinated tofu, instead. Thank you for sharing the recipe!